MUMBAI: There is more to fusion than expressing the sounds of diverse instruments together. 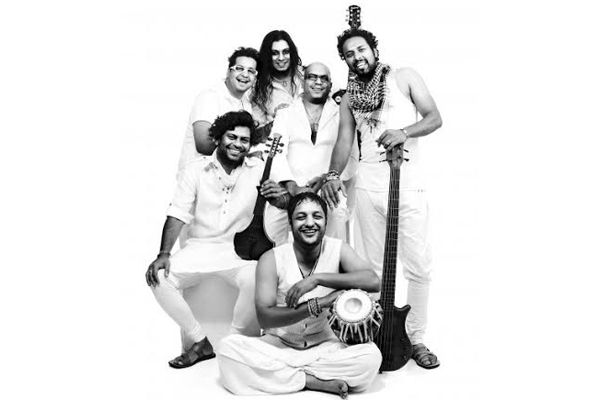 Kicking off the world/fusion scene in India, sixteen years since its inception, Delhi fusion outfit Mrigya finally managed to put together the compositions that define its music. The band’s self-titled album portrays everything that its music stands for. “This is Mrigya. This is our sound,” bassist Indraneel Hariharan mentions, when quizzed about naming their second album after the band. Although the album was released in November 2015, the collective effort to put the 10 tracks began three years ago. “We used to play few of these tracks during our live shows, even before the work on the new album began. Unlike a Nicki Minaj or Bruno Mars, we cannot come up with new stuff for every new album. That’s not how fusion/world music works. We improvise a lot, and the crowd response encouraged us to include few of them in the album,” adds Hariharan. Hariharan usually, introduces the band on stage, and more often than not throws flawless bass solos during their sets. Regardless of the fact that bassists manage to showcase 1/10th of their capabilities on stage, Hariharan loves his role. “It’s not about playing crazy technique all the time. Playing what is necessary is vital. If you listen to the album, you’d notice how some of the solos are lyrical,” said Hariharan, citing Madhuwanti and Saade Saat as examples. The album starts with the poetry of Sant Kabeerdasji, titled ‘Kabeera’. With Sufi at its core, the track has a celebratory feel and the ‘electric’ fusion element reappears several times as the album progresses. ‘Kabeera’ is arguably the band’s most popular track, and existed in the band’s live set-list for over a decade. “We have been playing Kabeera for some time now. Certain songs belonged to 2006-07, Caravan being one of them, although we stopped playing it for some time.” Caravan follows Kabeera in the album, and on the other end of the album, ‘My Guru My God’ revolves around raaga Bhairavi and raga Yaman, once again, proving the sound does not strictly confine to a particular bracket. Concocting Jazz, Folk and Blues has directed the album to a more ‘worldy’ sound. The mixture sounds very sophisticated, albeit raw, and not too “chakachak” (polished). Hariharan believes the album couldn’t have a better name, and further believes that it could not have a better distributor. “Times Music knows how to promote, the communication with them is awesome. You can pick up and call, speak to them and they are there for you,” said the bassist, who is sure that the artistic freedom and space Times Music has provided will prove essential in its outreach. The ‘Bollywood v/s non-mainstream’ debate is old and Hariharan throws light on how only playing gigs matter more to them. “On one side, you have a gorgeous woman with zero compatibility, whereas, on the other side, you have an ordinary woman, with great compatibility and someone who you could go out on walks with. Mrigya falls under the latter category. Our music eventually grows on people. We do not want to be famous or step out of our Hummers surrounded by the paparazzi. We want our music to stay relevant and immortal. We want to play. Bollywood zaroori hai, thoda din chalta hai,” the bassist joked. The band plans for an American tour early next year and announced that its participation in one of the biggest Indian festivals will happen soon. However, the music video for ‘Kabeera’ could be the next big development in this band’s journey that takes it to its seventeenth year. MUMBAI: Rapper Nicki Minaj's show in Slovakia got canceled here due to technical issues. According to tmz.com, Minaj's show, which was scheduled to take place on Friday, got canceled as the venue organizers were not able to support the technical aspects of her stage. MUMBAI: Rapper Cardi B has sparked outrage with a provocative video clip which she has posted on her Instagram page to promote her new single called Please Me.